Her love for bows began here. I love bows too, especially those made with grosgrain ribbons! After the new year, gifts continue to pour in and many are meant for my lucky little miss. 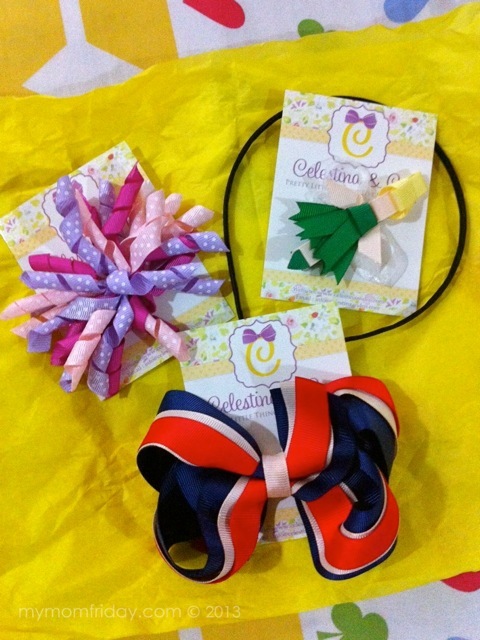 One box came from Celestina & Co. I was more excited to see what's inside and was so delighted to see these beautiful grosgrain ribbons creatively handcrafted into these gorgeous hair pieces for girls. 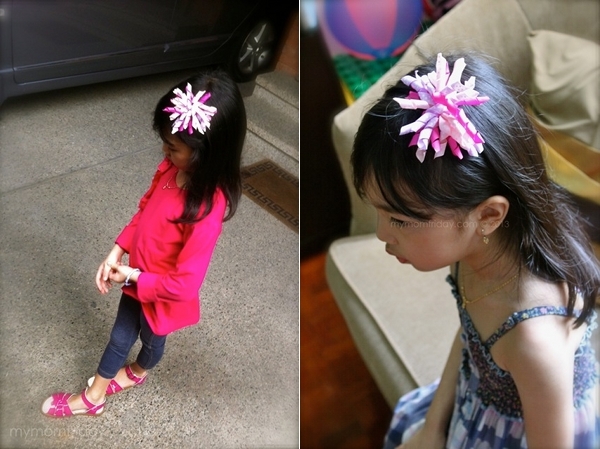 These hair accessories are fully lined so it's safe for baby's heads, and you can clip them onto the thin satin-covered hairband just like what we did for my girl. She prefers hairbands over any other types of hair pieces. Love this one in bold primary colors of red, navy, and cream. The size and color combination is just striking. 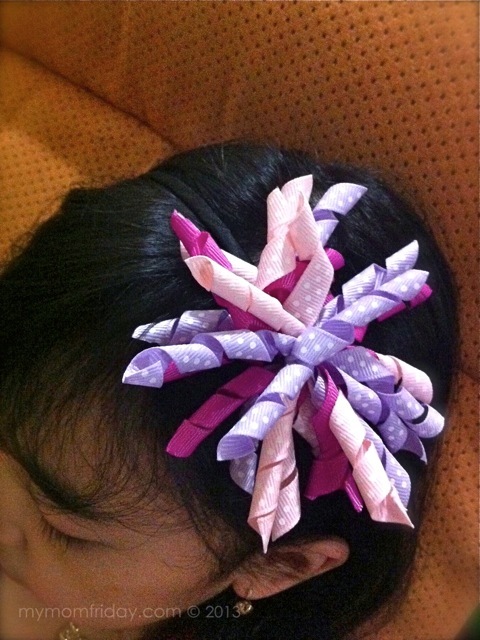 The girl's personal favorite - the korker bow in dotted pink and purple colors. It goes perfectly with most of her outfits. 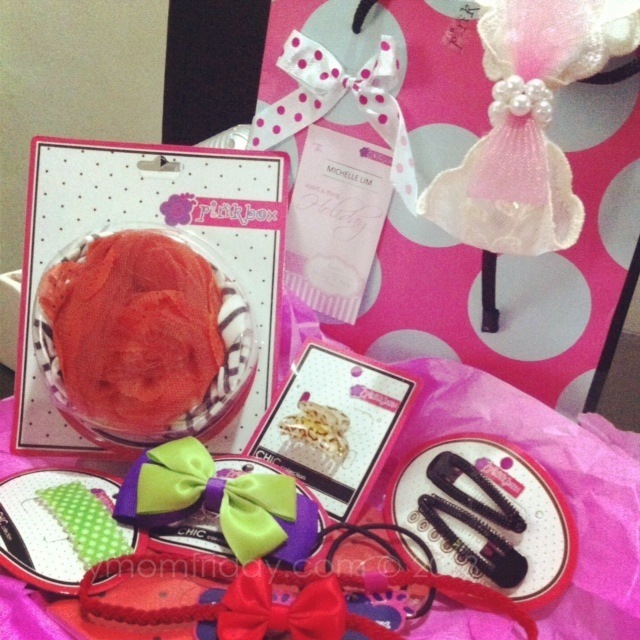 Earlier this year, we also received an assortment of hair accessories from PinkBox. 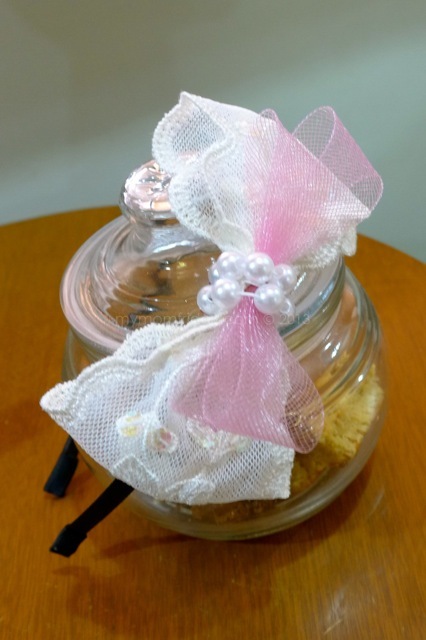 From the lot, she fancied this lone hairband with delicate lace and net bow fastened with pearls. 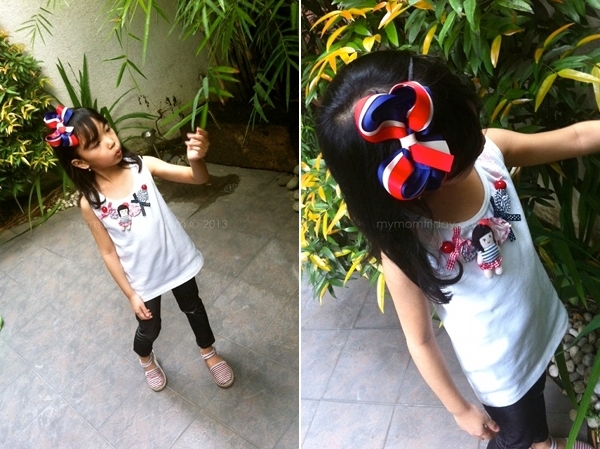 It came just in time for her 6th birthday and completed her girly look that day in school. Who says bows are for the hair only? Look at these glittery rose-colored Fabiola shoes sent to her by Marie Antoinette Baby & Co. It's made with synthetic leather but it's soft overall. The straps are bit long and loose, but it's my fault that the shoes came a size bigger. This will be kept in the box for now. She chose this pair of flats mainly because it's pink, and it's sparkly! 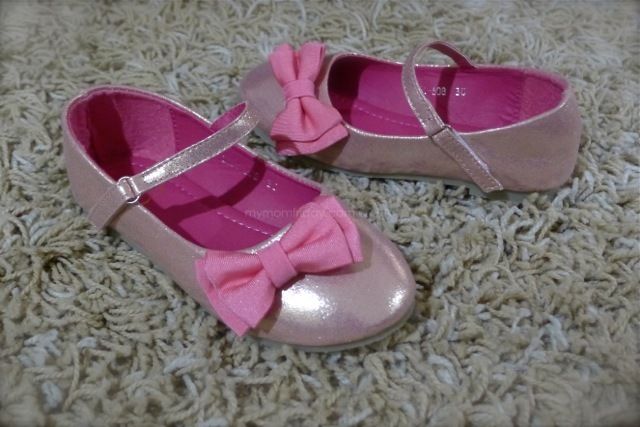 Any girl would love this comfy pink shoes with a pretty pink double-bow accent. 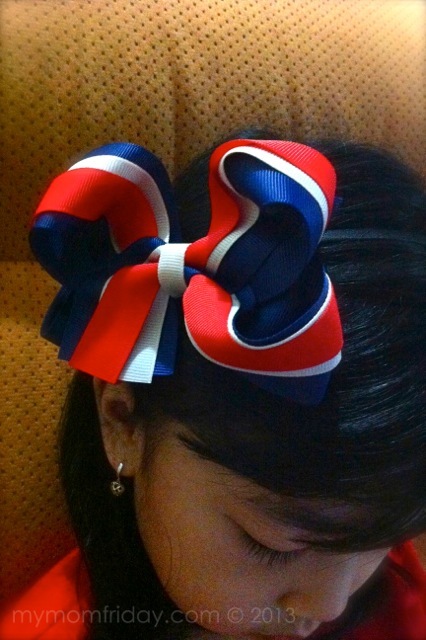 Ribbons and bows will forever be a staple in any girl's closet. They never go out of style, whether as hair pieces or accents on clothes and footwear. =) It's so fun being girl! Marie Antoinette Baby & Co.